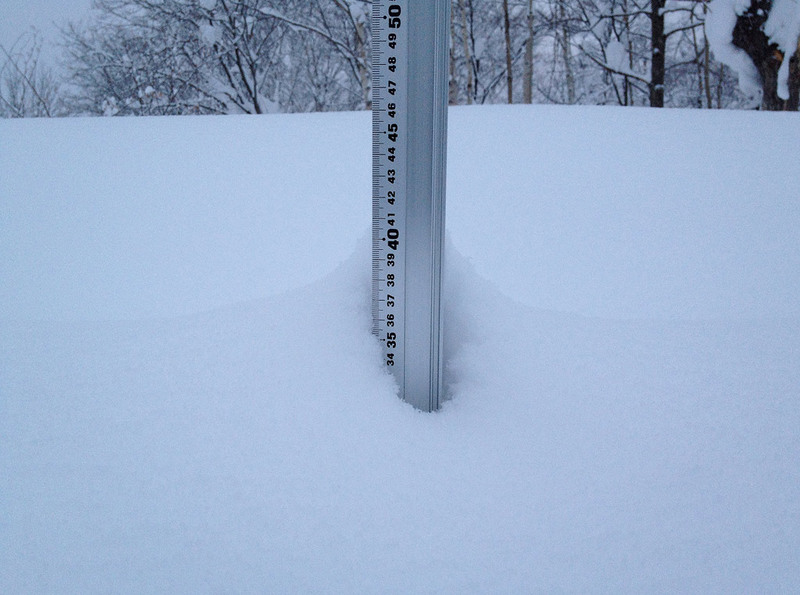 *12.7cm of fresh snow has fallen since yesterday morning and at 7:30am today the temperature was -12°C. The weather has calmed down from yesterday with light winds and intermittent patches of sunshine continuing throughout the morning, conditions should be fantastic on the mountain. Hoping to hike the peak where deep turns will certainly be found. After the long run down towards Hanazono we’ll then bust out a few jumps in the Hanazono Park. After heading back to Hirafu a curry from Taj Mahal might be the go. Took a drive into Kutchan yesterday and was amazed by the amount of snow around town.